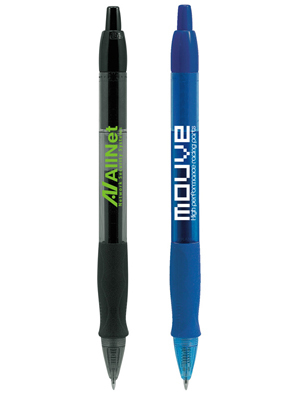 Medium Point: Black or Blue Gel Ink. Ink matches barrel color. Pen/Ink Color : Choose from the selection shown. All pens include solid color trim. Ink color matches barrel color.